Your header is the field in top of your website. This is where your website title is shown. You can add images, text objects and add a background to this area. The content in your header can easily be arranged. 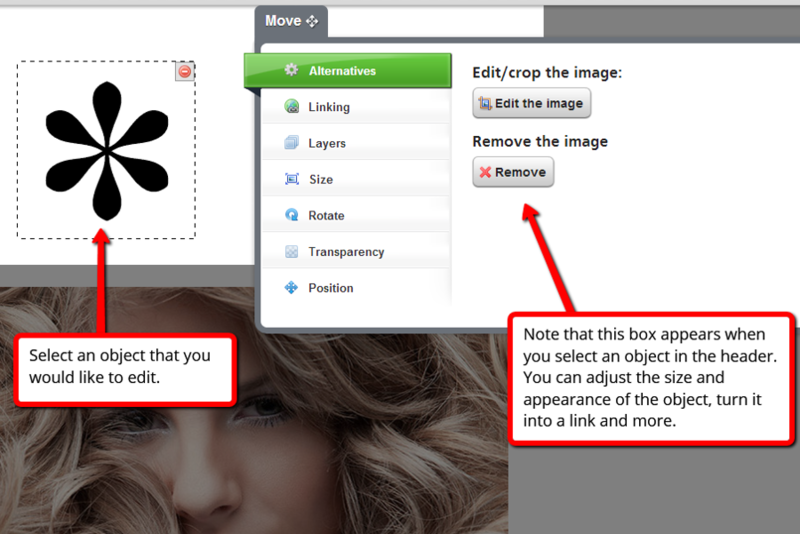 Simply click and drag the elements that you want to move, and drop it in a new position. To learn more about saving several headers, click here.